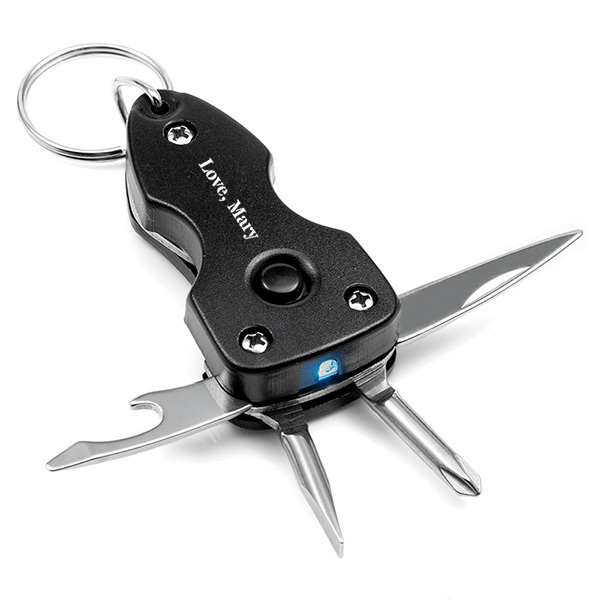 This little multi-tool personalized keychain is just 3.5 inches long. It includes a knife blade, slotted head screwdriver, philips head screwdriver and a bottle opener. Press the button to turn on the LED light that's also included. All metal and stainless steel components. 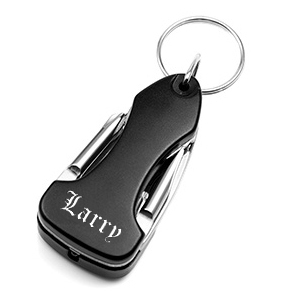 Includes a black, presentation style gift box. Remove plastic clear tab to activate LED light.